Exercise is one of the easiest and most effective ways of improving both your physical and mental health. A little regular exercise can ease depression and anxiety, boost energy and mood, and relieve stress. But you don't have to be a fitness fanatic to reap the benefits. 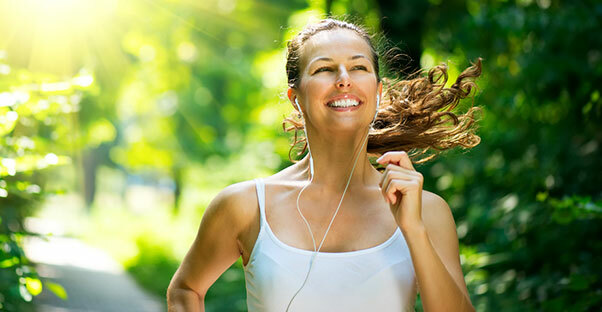 Here are some easy tips to incorporate exercise in your daily routine. Skip The Elevator, Take The Stairs! No matter where you are, there are plenty of opportunities to take the stairs instead of the elevator. Taking the stairs is a great way to get your heart rate up and burn calories. It may be hard to start, but once you get into the habit it will become much easier. Walk As Much As You Can Taking a walk is an easy and great way to get extra exercise. Also it doesn't even seem like exercise at all. Some examples are taking a 15 minute walk after your lunch. It will increase the blood flow to the brain, and you won't feel so sluggish, and can continue your work day with a clearer mind. Another is if you are talking on the phone don't sit, get up and pace around. Dance Like No One Is Watching If you are tired of the treadmill and you are looking for a fun way to exercise, try dancing. Dancing strengthens bones and muscles without hurting your joints. Also dancing improves your posture and balance, and tones your entire body. Even if you are afraid to dance in public, you can turn on some tunes and let loose in the comfort of your own home. Housework Cleaning your home may not be as strenuous as running around a track. However, cleaning is a great physical activity. Moving furniture around or lifting items with weight to it will work out your muscles. You can also include some work out routines. For example instead of bending to pick items up, do it in a form of a squat. Fidget Think of all the sitting you do: Driving to work, sitting at a desk, watching TV, and spending time on the computer. Believe it or not fidgeting will help burn calories. Try tapping your toes while typing, move your head side to side while listening to music, or moving your chair side to side. The more you move the more calories you will burn.